rocky's bru: Could Nur Aina Nabihah have been saved? 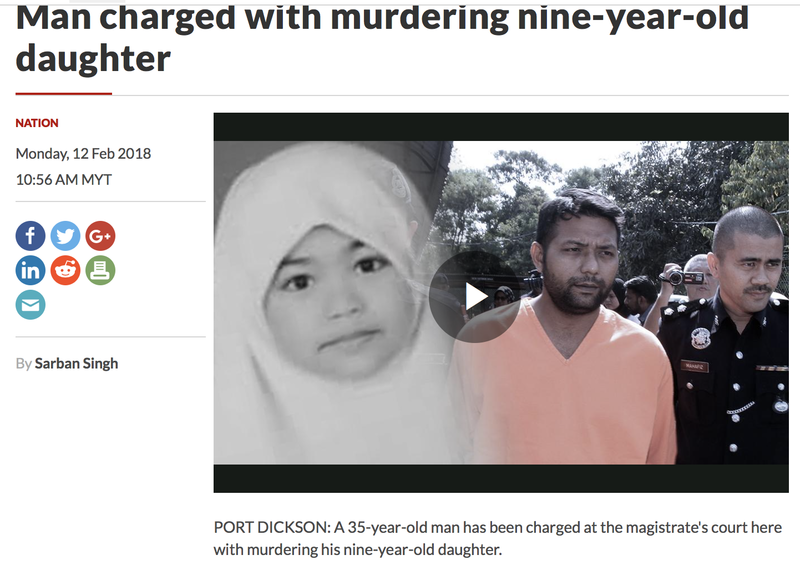 "Police had questioned the father in June last year after the victim's biological mother lodged a report after finding swellings on her body. Those two paragraphs appeared at the end - yes, at the very end - of the news article. Based on Journalism 101's inverted pyramid, editors usually leave the most insignificant part of a news article last. If the sub editor needs the length of the story reduced to give way to another item (such as an important late news or a last-minute ad), she would just need to chop the story from the bottom. Am glad the editor didn't have to do that in the case of this story. For in those last two paragraphs lies the most tragic part of the story of the senseless murder of little Nur Aina Nabihah. "Police referred the case to the deputy public prosecutor but no further action was taken." What happened? What did the police establish after questioning the father? What was actually referred to the DPP by the police? Why was no further action taken? Will we ever learn from these deaths? If I were the Minister of Agama, I would've instructed TV3 & RTM not to show the photo of that poor child, because the first thing that gets into the minds of viewers... 'Oh my God, its Muslims who did this to the child. And the father is a serviceman from the Army too. What a cruel SOB, these people are'. I've said this before. The next time if a convict or a suspected criminal is being escorted, in-out of custody to court or anywhere, shroud the head with gunny-sack if they put on a skull-cap or hijab. DPP yg d maksudkan tu d n9 or d putrajaya ? Because the biological mother is not some sort of umno leader hence the police not really interest. What the heck with abuse story when kbab mansion in mantin is untouchable. His family member got the contract for supply weapon to the pdrm. Dont forget he is the only 1 survival of derma 2.6b task force when kassim and zeti chose to uphold their integrity.